City of festivals, Melbourne has a huge lineup of free and fabulous festivals and events in March to regale locals and tourists. This article is a compilation of the very best free events for the month of March. To mark the launching of a new Qantas flight from Melbourne to Tokyo, the Taste of Japan Yummy Fun Truck will travel the streets of Melbourne entertaining people with free serves of yummy Japanese themed ice creams. The truck will park at numerous locations in Melbourne every weekend from 19 February 2017 until 12 March 2017 and dish out unique and scrummy flavours which will certainly tickle your fancy. Hailed as the biggest and best community festival of the year, the coveted Moomba Festival will return on 10 March 2017 and will run throughout the Labour Day long weekend. 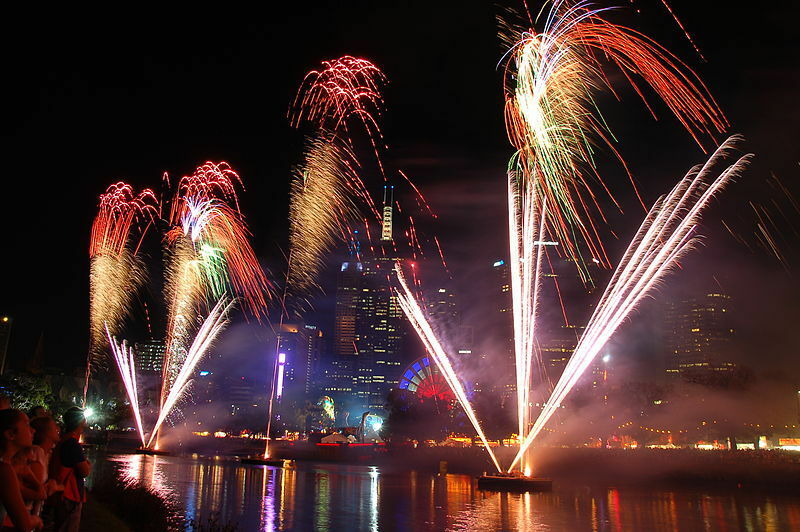 The impressive program itinerary includes fireworks, Moomba parade, birdman rally, river activities, kid's activities and more. More details can be found here. It will be a platform for showcasing and celebrating our multiculturalism and strong community bonds and bring the diverse communities in Melbourne together. This festival is not be missed. Queen Victoria Market will be the setting for a traditional Turkish Bazaar where all things Turkish will be celebrated from 11 March 2017 to 12 March 2017. You will be presented with the opportunity to savour Turkish cuisine, revel in Turkish music and enjoy a healthy dose of Turkish culture. Scheduled for 12 March 2017, the festival of colours is a multicultural event which is originally a Hindu spring festival and is celebrated as a thanksgiving for a good harvest. This family-friendly festival will feature a colour run, fireworks, kid's rides, delectable Indian cuisine and live entertainment. The highlight of the festival will be people playing with colours and throwing colours at others so be mindful to dress appropriately. The flamboyant colours will colour your mind, heart and soul. All are welcome. The first Donut Fest will take place from 12 March 2017 to 13 March 2017 at the legendary beer garden at The Village Melbourne at 557 St Kilda Road, Melbourne. Melbourne's venerable coffee and donut vendors will congregate together in one spot. This will be the perfect excuse to sink your teeth into myriads of colourful, diverse, plump and scrumptious donuts and wash it all down with coffee and beer. The Festival of Colours will be celebrated with great festivities at Sports Centre, Monash University, Clayton. 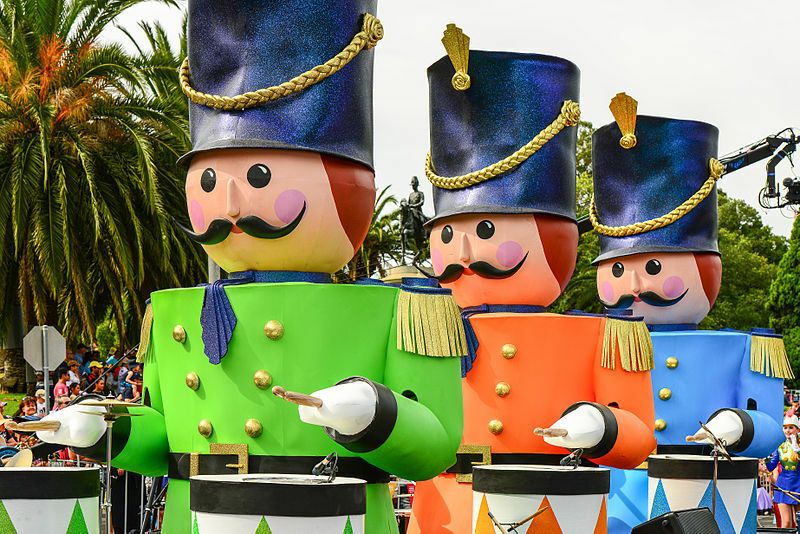 Aimed at fostering stronger bonds amongst our community through a fiesta of colours, this festival is guaranteed to deliver a bucket-load of fun. Entry is free but online registration is required. All are invited in join in the fun as the Whittlesea Colour Carnival will be celebrated on 25 March 2017. Visitors will be regaled by colour play, rides, food stalls, music and DJs and much more. A traditional colour run will be main attraction of the day. Queensbridge Square in Melbourne CBD will offer refuge to the Korea Week Festival from 23 March 2017 and 26 March 2017. You will be enticed by a wide array of Korean activities including Taekwondo and Taekkyeon demonstrations, K-pop competitions, K-food cooking shows and a display of traditional Hanbok fashion. Sample tasty Korean fare and soak up the Korean culture and tradition in this family friendly festival. Entry is free. Autumn will be extra special this year with these delightful free events. Have a wonderful March!